The cold weather is here and the holidays are fast approaching. 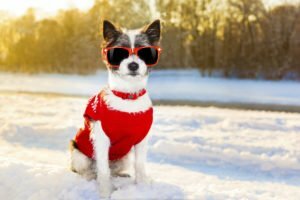 It’s that time of the year to take extra precautions to keep our fur babies safe from winter hazards and holiday dangers. 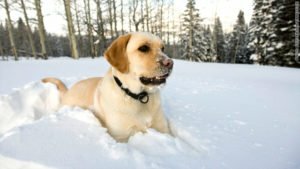 Hypothermia: Your pet may look warm and cozy in its fur coat but they are still prone to hypothermia and frostbite. When the body temperature of a cat or dog drops below the normal range of 100-102.5 degrees (with an approximate +/- 0.5 degree differential) they begin to suffer from hypothermia. Please keep your pets indoors during the winter months. Although your German Shepherd, Husky or Bernese Mountain dog may welcome the snow and colder weather, other dogs will feel its effects. If you have a puppy, short-haired dog, older dog (7+) or a sick dog please leave a coat for your dog. Your dog’s walk with its sitter will be much more comfortable when toasty warm. Antifreeze: This brightly colored car coolant is often appealing to your dog or cat due to its sweet taste but be aware…It is poisonous and often lethal. Cars: Cats often like to snuggle up to the cars exhaust while it’s idling or hide under the hood. They risk being run over by the car once it starts moving or getting tangled up in the engine’s parts. Also snow piles can cause a barrier not allowing drivers to see your pets. De-Icers/Rock salt: Choose pet safe ice-melting products for your walkway/driveway this winter. Regular ice-melting products or rock salt used to treat town roads is irritating and can chap your pet’s paws. If consumed in sufficient quantities the result can be “salt poisoning.” If the roads have been treated your sitter will wipe your pet’s paws off with a wet paper towel or cloth after their walk to ensure the safety of your family member. Rodenticides: Mouse and rat poisons are one of the most commonly seen toxicities seen by animal hospitals and veterinarians. When the weather turns cold the rodents tend to seek shelter in human spaces. In an effort to keep rodents out of our offices and homes we put out poison. Unfortunately our pets find them too. Grapes (& raisins) No fruit cake for Fido! If you plan on traveling during the winter months please arrange for your driveway to be plowed so your sitter can access your house easily and in a timely manner. If you would like to leave Little Bay Pet Services the name of your plow person/company that would be helpful. Providing a shovel for your sitter in case they need to clear a path to your door. Make sure the entrance your sitter typically uses is accessible once the snow deepens. Adjusting the heat in your home to a comfortable temperature before you leave for vacation is important especially for clients with small animals, reptiles and birds. 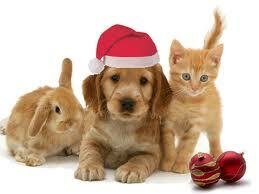 Provide Little Bay Pet Services the name & number of your heating company in case there is a problem. Leave a key with a neighbor that can easily access your home I case the sitter physically can’t get to your house due to a storm or down power lines. Let us know where we should take your pet(s) if there is a prolonged power outage and your animals can not stay in the home. Make sure your pet has an ample amount of food, treats, medication and litter (if applicable) for the time you will be away. The Pet Sitters of Little Bay Pet Services thank you in advance for providing us with the tools necessary to give your pets the best care possible! We wish you a happy December filled with good Cheer!